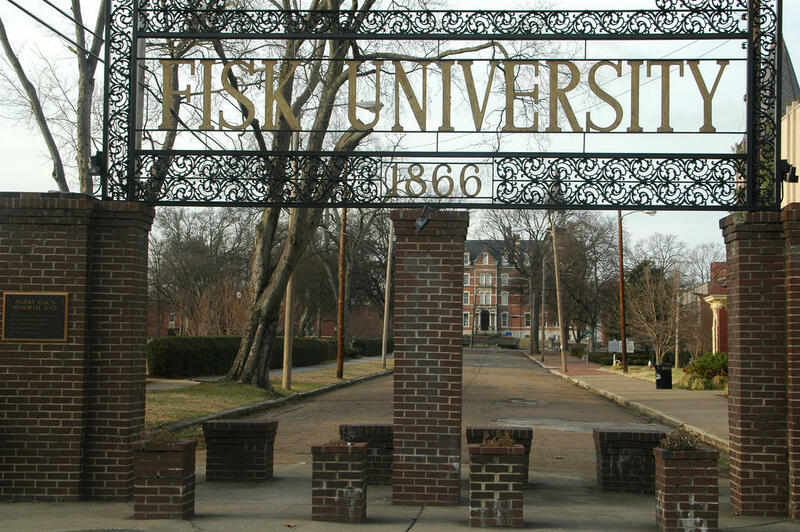 Portions of Fisk University's campus in Nashville could be redeveloped to include affordable housing. Nashville's housing authority is in preliminary talks with Fisk University to co-develop its campus along with a nearby public housing complex, an official said Monday at a Metro Council budget hearing. Housing director Jim Harbison said that, over the past six months, the Metropolitan Development and Housing Agency and Fisk have developed a master plan that could involve overhauling Andrew Jackson Courts, a public housing complex not far from the university, while also redeveloping parts of its campus into affordable housing. The collaboration could be a win-win for both the neighborhood and the financially strapped institution, he says. "As I walk from Andrew Jackson (Courts) there from the Boys and Girls Club and walk up to Fisk, everyone says, 'Well, we need role models,'" Harbison told Metro Council members. "And then you walk on Fisk and there they are. It's like from Central Casting. And then you talk to the students and they go, 'We'd really like to get involved.'" The topic was brought up at the meeting by Councilwoman-at-Large Sharon Hurt. She asked if the housing agency would consider rehabbing Scribner Hall, an old Fisk dorm that's no longer in use, and develop it as affordable housing for families in need. Harbison responded that MDHA had already signed a memorandum of agreement with Fisk's interim president, Frank Sims, and advanced to the planning phase. And although it isn't a done deal, Harbison said it's a "wonderful idea" and an opportunity to collaborate with the historic university. Harbison said the agency could catapult planning for the redevelopment of Andrew Jackson Courts to the top of MDHA's list of future projects, once staff completes prepartions for overhauling Napier Place and Sudekum Apartments. 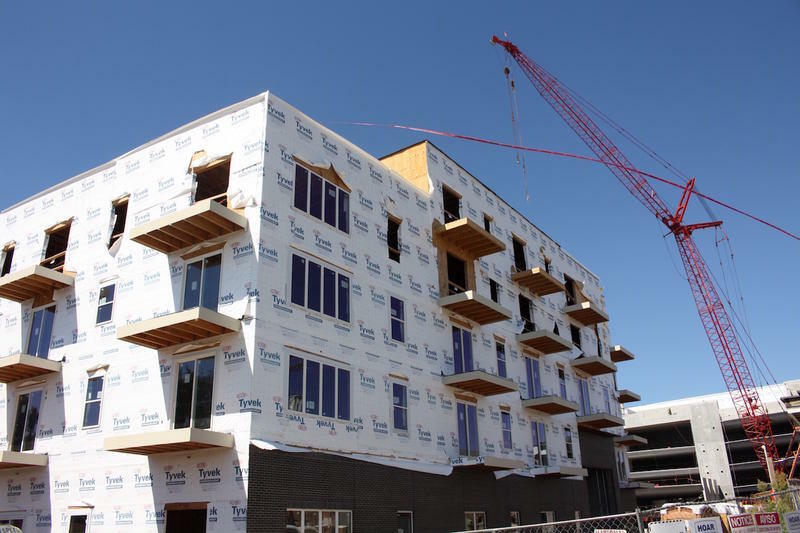 Nashville is in the midst of an affordable housing crisis. The city estimates it needs 31,000 more units over the next seven years, a number it's unlikely to keep pace with. Nashville's next mayor will have no choice but to face this dramatic housing shortage. But most candidates don't have concrete solutions. 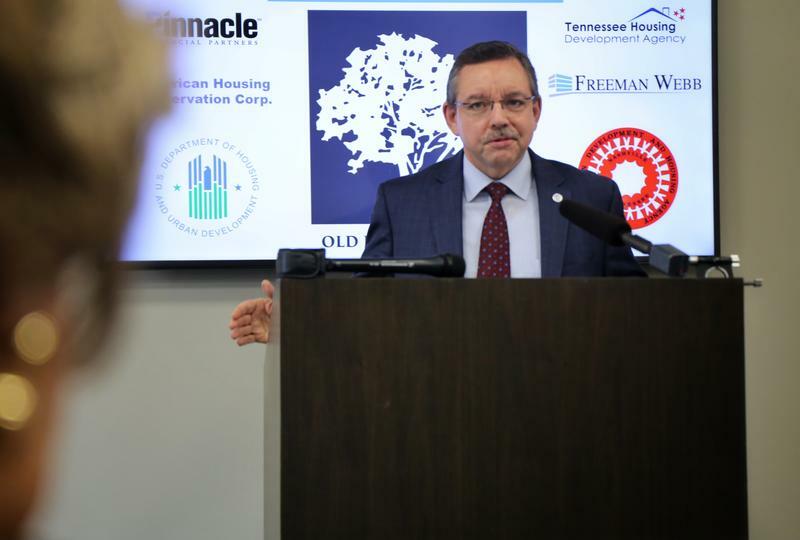 The executive director of the Tennessee Housing Development Agency says Nashville wants more affordable housing but often ends up getting in its own way. At a ribbon-cutting ceremony Friday, Ralph Perry noted that the city has blocked some developments that have been awarded low-income tax credits.